Just about everyone has a scar on their face that appears after a wound heals. These scars come in all shapes, sizes, and colors. Whether you have a facial scar caused by a childhood injury, a facial surgery, or acne, most people would rather not have these skin imperfections. The trouble with facial wounds is that they are harder to treat and care for than other wounds on the body. While you may be able to protect other wounds with a bandage that can be covered by an additional layer of clothing, it is trickier to cover up a wound on the face while it heals. Without protection, while a wound is healing, your face is constantly exposed to the environment and the elements, which affects the healing process. What’s more, it’s rather challenging to rely on topical treatments that can easily wear off and rub away. On top of that, one study reports that the average person touches their face almost four times in an hour! This can not only irritate a wound or acne outbreak, but may also lead to infection and swelling, which disrupt the healing process, and can make scarring much worse. There is no need to worry, though, because our skin care experts at Vibe MedSpa can apply several therapies that can safely and effectively reduce the appearance of facial scars. Please read below to learn more about these amazing medspa treatments. Chemical peels can rejuvenate the skin for a fresh, youthful appearance, while also reducing the appearance of skin imperfections such as facial scars. Chemical peels use mild acids to remove the epidermis, or outermost layer of skin, from the surface of your face. As the epidermis is exfoliated and removed, this skin care process reveals a new layer of soft, radiant skin. Additionally, a peel treatment stimulates collagen and elastin production for tighter, smoother skin. There are different peel options that can address pigment irregularities caused by scarring. What is great about chemical peels is they only cause minor discomfort, usually in the form of a slight tingling sensation, and you will usually notice results in as little as two 30-minute to 60-minute treatments (depending on the patient). We recommend at least six treatments for optimal results, especially for significant scarring in order to more effectively even out your skin’s texture. The key is to stay out of the sun for the first few days after your treatments, as the sun can cause skin irritation on the treated area. Try one of our chemical peels for efficient scar reduction and rebuild your confidence in your appearance. Fractional laser resurfacing is similar to a chemical peel in that it removes the outer layer of skin to reveal a new layer. The difference in these treatments is that laser resurfacing uses high-intensity laser beams to correct skin imperfections such as facial scars. Laser resurfacing is safe and only produces moderate discomfort with a warming sensation. Laser skin treatments may reduce and remove surgical scars, injury scars, and acne scars without having to undergo surgery. Each treatment lasts about 30 minutes and the frequency varies between patients. Fractional laser resurfacing has a quick recovery time, yet may cause minor redness and swelling, peeling, and slight irritation on the treated area. 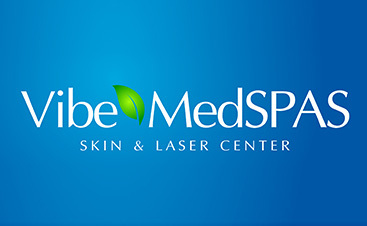 Call our medspa in Scottsdale to schedule a consultation to see if this is the right scar reduction treatment for you. 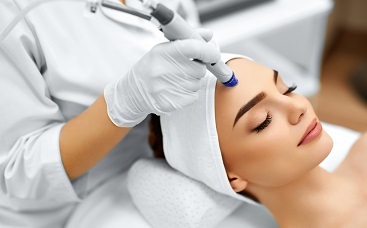 Microdermabrasion is one of the most popular medspa treatments for correcting unwanted facial imperfections. While it is not an effective treatment for deep scarring caused by injury, surgery, burns, or disease, it can gently smooth light scarring to even out your skin’s texture. One of the best aspects of this skin treatment is it encourages healthy cell growth for softer, tighter skin, and promotes a more even skin tone, which can also help reduce the appearance of minimal scarring on the face. Dermabrasion, on the other hand, was designed specifically to reduce the appearance of scars on the face, caused by injury, acne, and disease. This treatment may be a better option for those with these types of scars. Intense Pulsed Light therapy, or IPL therapy, is one of the most effective methods for improving your skin’s texture by diminishing scars caused by acne. Our IPL photofacials encourage the healthy production of new collagen and elastin to help restore your skin’s natural, smooth texture and improve your skin’s overall appearance. Plus, this FDA-approved medspa treatment can even out your skin tone by removing undesired pigmentation caused by scarring. Like most of our other medspa skin treatments, there is a quick healing time, although we do recommend a series of treatments. We will determine your specific treatment frequency based on the results we see within the first few treatments, as everyone’s skin reacts slightly different to IPL photofacials. Schedule your photofractional consultation with our skin care experts to see if this will be an effective treatment for your specific needs and desired results. 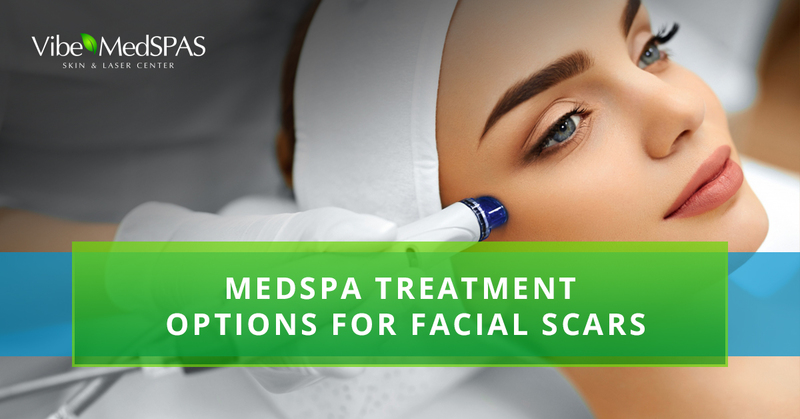 Whether you have facial scarring from acne, surgery, or an injury, we offer safe medspa treatments for effectively reducing the appearance of scars. 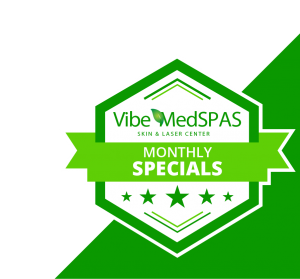 If you are ready to restore your confidence in your appearance by minimizing or even removing the appearance of your facial scarring, call Vibe MedSpa today and schedule a consultation. Our skin care and laser therapy treatments were designed to improve your skin’s texture and appearance. Call us, your Top Rated Local® medspa in Scottsdale, to book an appointment.